Marrakech Insiders, Marrakech, Morocco. Information, Photos and Reviews. Schedule a tour. Tell us your centers of interest. We create it. 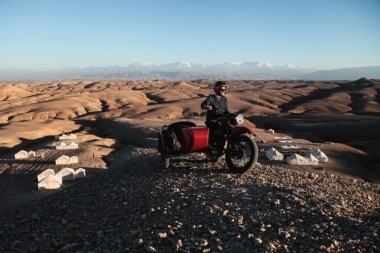 Marrakech Insiders offers an innovative concept of experimental traveling : you are not a tourist but a traveler. You don't visit, you experience. You are on both sides of the lense. We believe that you can discover a new destination without feeling like a tourist. This is why our insiders are long term expats who have a passion for Morocco and will share their knowledge and experiences with you as they would with a friend. We are the ‘friend of a friend’ that you wish you had in a city you do not know. We aren't tour guides, we share our love of the city we call home even though we were born in another country in a human and authentic way. 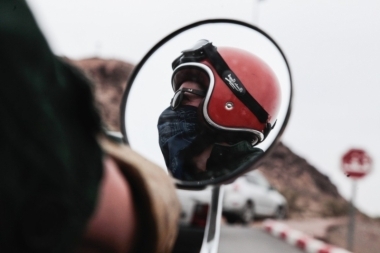 You won't be clients with us, you will be our passengers for the duration of your adventure, spending half of the time on your sidecar being driven around and half of the time walking around with your insider. Our goal is to share our love of the red city through our tailor made city experiences off the beaten track. The concept of our tours is that there is no tour, we tailor make all journeys around our passengers. Upon meeting with you, your insider will get a feel for your centres of interest, level of knowledge of the city and expectations of the visit. Tours can also follow themes such as photography, food, architecture, culture, or just a mix of all these. 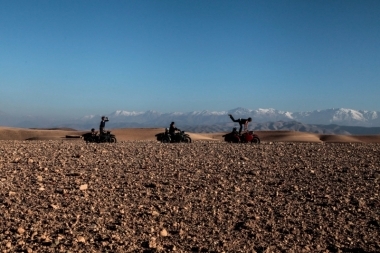 You can also go out of the city, for a memorable experience through desert or Atlas Mountains rides. Nobody has reviewed Marrakech Insiders yet, Be the first. You are submitting a booking enquiry. Marrakech Insiders will then contact you by email with details of availability and prices.